I certify that the quantity and spelling are correct. You must check the box to certify that the quantity and spelling are correct before adding the item to your cart. Please complete all fields you wish to personalize OR check the box marked DO NOT Personalize. If you do not complete these fields, nothing will be printed on your ornament. It will be sent to you blank. Thank You! 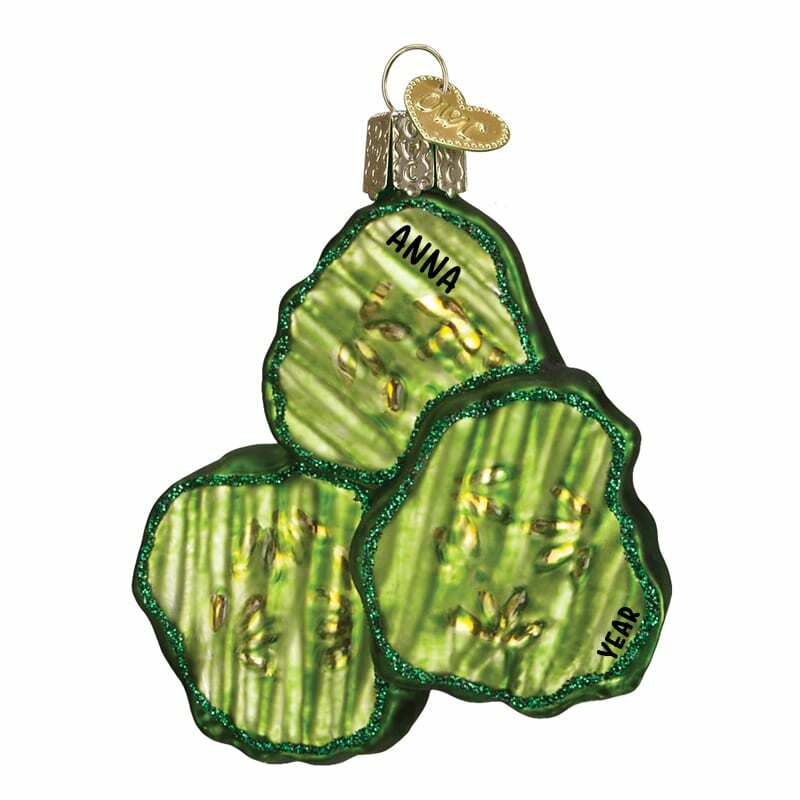 Whether they love dill, bread & butter or sour, celebrate your favorite pickle lover with our Pickle Chips Glittered Glass Ornament. Perfect for the a gardener who grows cucumbers or the person who just loves the yummy taste, let us add a name and year for free to this scrumptious ornament!